Is sushi-grade salmon a useless term? Are Kings more desirable than Cohos? 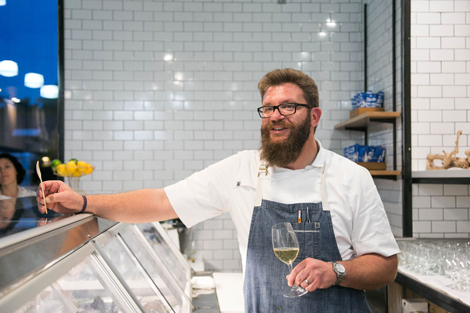 We tap two seafood experts to find some answers. 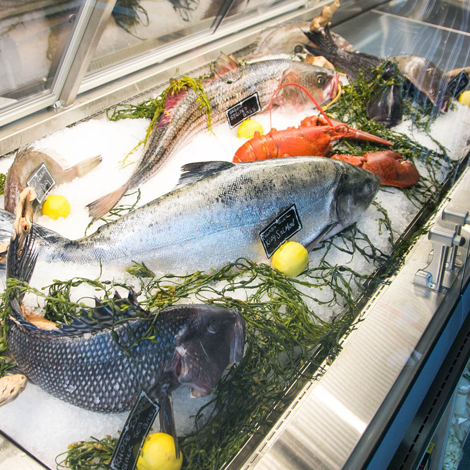 The appearance of unregulated Frankenfish in our food system is an aquatic apocalypse no one wants to imagine—least of all Michael Cimarusti, chef of Los Angeles’ seafood temple, Providence, and a long-time advocate of sustainable seafood. 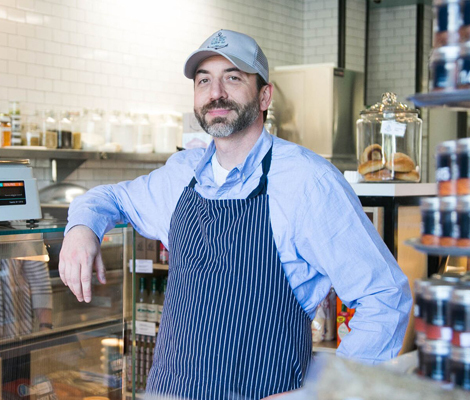 That lack of awareness has already been on full display in our blithe attitude towards the dwindling tuna population, which has prompted some kitchens to exclude it from their menus. “The next Bluefin tuna could literally be anything,” says Cimarusti. 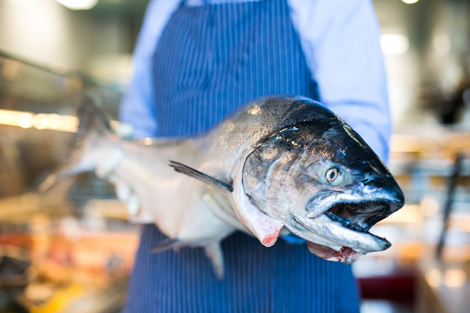 “Cod from the wrong place is in that same dire situation.” Not too far behind, it would seem, is salmon, which in 2013 surpassed its underwater cousin as the most popular fish in the United States. Cimarusti’s core principle—that good fish is never cheap, and cheap fish is never good—is one widely acknowledged by food insiders. But even heeding this rule of thumb doesn’t always keep you out of harm’s way. Salmon is a household staple at dining room tables around the country, so what do you need to know when shopping for it in the supermarket? To get the facts straight, we asked two experts to lay down some important groundwork. 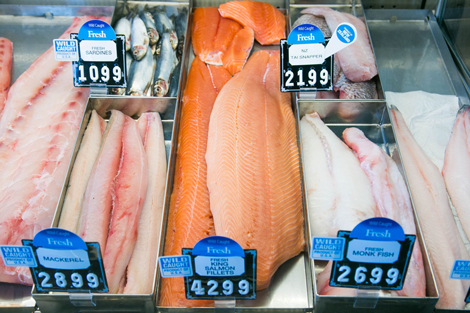 Why is salmon priced the way it is? Bassetti says: “There is a hierarchy: First King, then Coho, and then Sockeye, generally speaking. 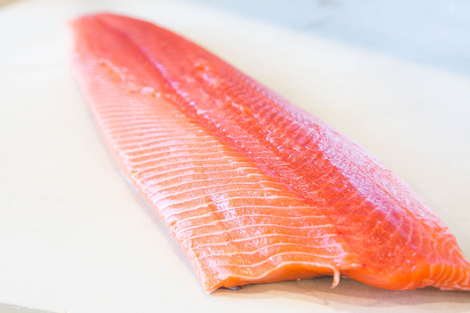 Sockeye is the most abundant salmon, and is also the smallest and leanest. It’s nearly always the least expensive salmon of the big three. Coho ranks next in terms of cost and population. Kings are the least abundant and thus most expensive. They are also the largest salmon. They stay out at sea longer, grow bigger, and contain more fat. It’s a matter of supply and demand. 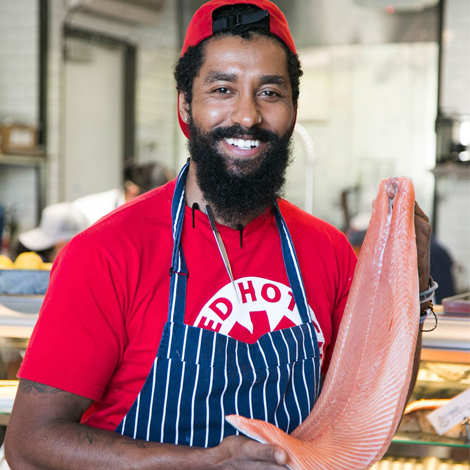 Does a bigger fish mean better taste? Is “sushi-grade” the most important term for considering whether a salmon is desirable? Is lox the same thing as smoked salmon? Should all salmon be the same orange color? What are red flags that the salmon is not good to eat?